As a business owner, there are many steep learning you must overcome in order to survive and thrive. A major learning curve is commercial leases. A scalable business requires a dedicated commercial location to succeed in a highly competitive business environment. Let’s say you are just starting up a business or have grown a home-based business to the size where it requires a separate commercial space. Chances are you have minimal to no experience in renting a commercial property. It can be intimidating, given how complex it can be relative to leasing a residence. To save yourself some time and get started on finding a commercial space for your business, here are a few simple tips on how to rent commercial space without headaches. Like many things in life, the first step is understanding your needs. Knowing what you need will help you know the right questions to ask when considering a commercial property for lease. Before signing a lease or even touring properties for a lease, determine the commercial space requirements for your business. First things first, find the location that best fits within the business goals and cost structure of your business. Even if you are not selling directly to the public, location is one of the most important factors in determining the success of a business. But location is not black-and-white. It’s important to select a commercial space relevant to your business. If you are running a bar or restaurant, you may save on rent leasing in an area with less foot traffic, but you may miss out on the critical mass requirement to make such a business succeed. There are other qualitative factors to consider. A retail or restaurant business may benefit from a historically significant location or regional landmark. Likewise, locating a business-to-business type service in a central business district may not make economic or strategic sense. Price and value are not the same things, consider this when scoping out potential commercial space. In addition to location, the physical attributes and features of a commercial property for lease are also highly important to the operational and financial needs of your business. You can’t open a pizzeria in a warehouse. Likewise, you can’t run a distribution business out of a 2000-square foot retail location. Leasing commercial space is not limited to just a certain amount of square footage at a certain price per square foot. Property owners include varying amounts of amenities in their gross lease amount. Commercial property is also divided into varying classes of quality. While a cleaning business doesn’t need newly built or remodeled space, a retail business will require the most up-to-date aesthetics to bring customers through the door. Hiring a professional property management company such as Ellicott Development can be helpful in maneuvering around these nuances. We understand the ins and outs of commercial property leases and will be able to find you the right space at a rate that fits the cost structure of your business. While you may have experience entering a residential lease, prepare yourself for the more complex nature of commercial leases! Customer protection laws that apply only to personal residence leasing may not apply to businesses leasing out commercial space. Commercial leases are sophisticated legal contracts. It is important for any business owner looking to lease space to fully read and comprehend the varying terms of a commercial lease. Commercial leases are typically for longer periods of time than a residential lease. While apartment buildings and townhouse communities focus on annual leases, commercial property owners prefer to lock in a tenant for 5, 7, or even 10-year terms. These multiyear leases typically include a rent escalation. Commercial leases are also much tougher to break than a residential lease. Leasing out commercial space is a legally binding obligation, and there can be legal hassles if you are unable to meet the terms of your lease. Again, the more complex nature of commercial leasing may necessitate a professional property management firm to guide you through the process and find the space that fits your business needs. On the flip side, commercial leases are more flexible than a residential lease. While a renter of an apartment has little wiggle room to haggle for a lower rental rate, commercial property by its nature entails ebb and flow when it comes to tenant-landlord negotiations. Commercial leases are tailored for the business needs of commercial tenants. Tenants can negotiate for certain amenities, and typically have more choices when selecting a certain square footage space for their business. A professional property management company such as Ellicott Development can simplify the commercial leasing process and ensure you find the space you need with minimal headaches. Professional property management companies will work on your behalf to coordinate the commercial lease agreement, ensuring you cover all the bases before signing the dotted line. Property management firms may be the landlords of commercial space, or they may be agents working with third-party landlords to find tenants for their commercial properties. A professional property management firm centralizes and coordinates the relationship between tenant and landlord, ensuring the requirements of both sides are met, and potential issues are resolved in the most cost and time effective manner. Whether your business requires retail space, office space, mixed-use space, or specialty space such as retail space adapted for restaurant use, you shouldn’t let commercial property leasing headwinds hold you back! If you are a business owner looking for retail, office, industrial, or mixed-use space, contact us here at Ellicott Development. 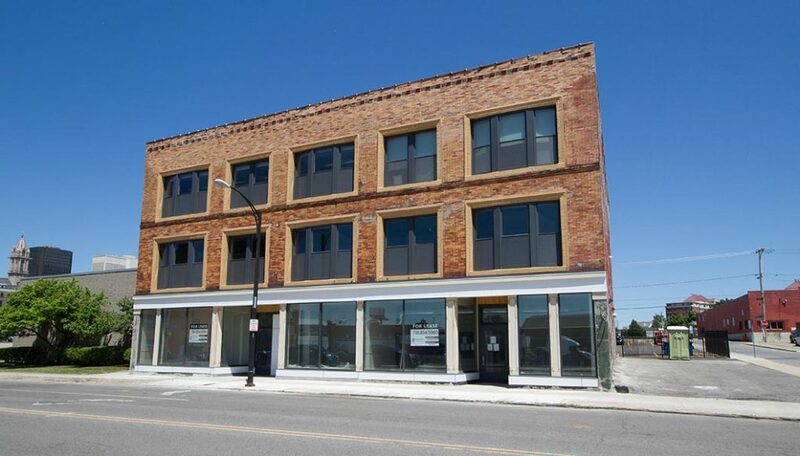 We have a wide array of available properties for lease in downtown Buffalo and Western New York. Visit our website or give us a call to see if we have the commercial space that’s right for you!